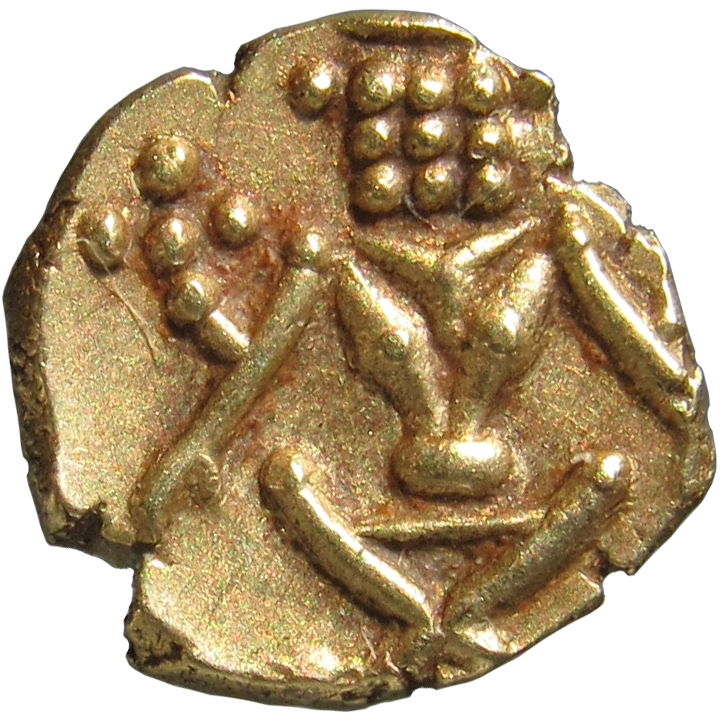 Gold Fanam Coin of Mysore of Kanthirava Narasaraja Wodeyar I. Also called as narasimha fanam or Kanthirava fanam. 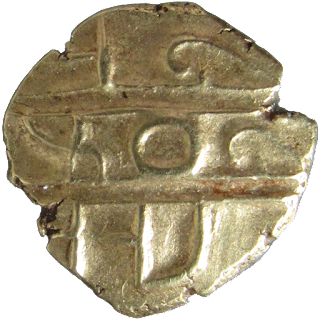 These types of coins were first issued by Kanthirava and later by many different rulers from different region. Reference. This coin probably is from alater issue since the nagari legend is not proper. Original coins issued by Kanthirava Narasaraja Wodeyar I is expected to show superior craftmanship and correct legend.